Prototypes of Peugeot, X-raid Mini or Overdrive Toyota are the faces for rallies like the "Dakar" - and truck prototypes are one of the faces of the "Rallye Breslau Poland", the biggest licence-free off road rally in the heart of Europe. We saw Tatra-prototypes from the Czech Republic, former factory Kamaz from Russia, a twin-turbo Mercedes Unimog prototype from Germany or former GDR-IFA Trucks with MAN technology. 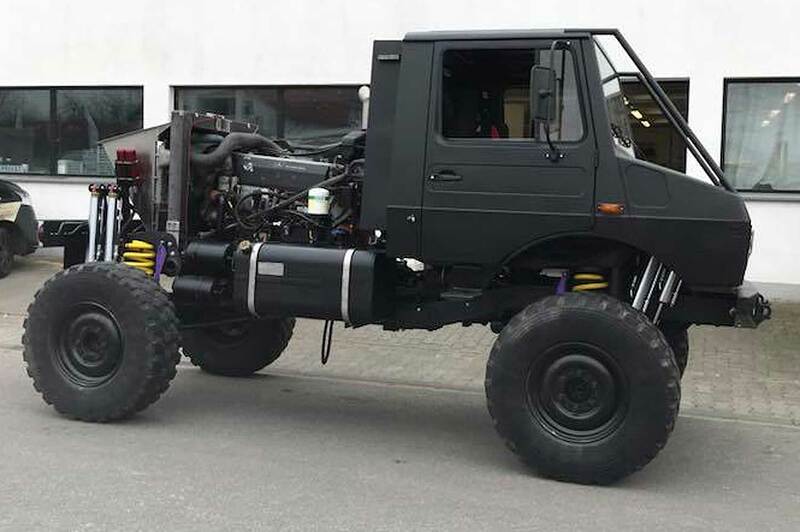 In 2018 one of the ´beasts´ in the Breslau is the Mercedes Unimog midengine prototype of "Unimog Racing", which will celebrate its rally-premiere in the northwest of Poland from June 29 to July 7th 2018. 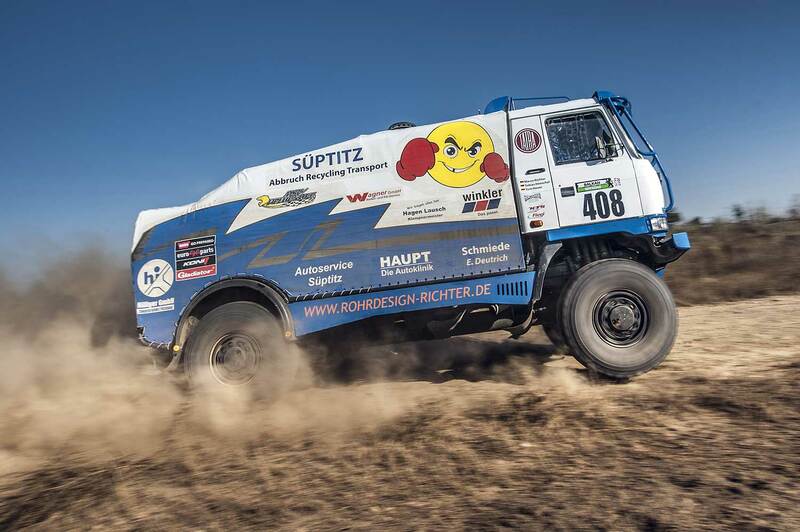 The heads behind "Unimog Racing" are the Germans Steffen Braun, Rainer Ulrich, Alexander Schoenefeld and Christian Koepke, who started their first Breslau Rally in 2009. "Our first Racetruck was a used Unimog U1300L from the German Military," said Christian Koepke. "We had totally no idea about rallies. We were travelling with the racetruck, were sleeping on or under it. First we were starting just for fun, later we had the ambition to win the rally one day." Their best results in the Breslau Rally were a second place in 2010 and some second places in the "Baja Deutschland" in 2010, 2012 and 2016 - until they could win the Breslau Rally finally the first time in 2017. "Our ambitions were growing. Our team became bigger. 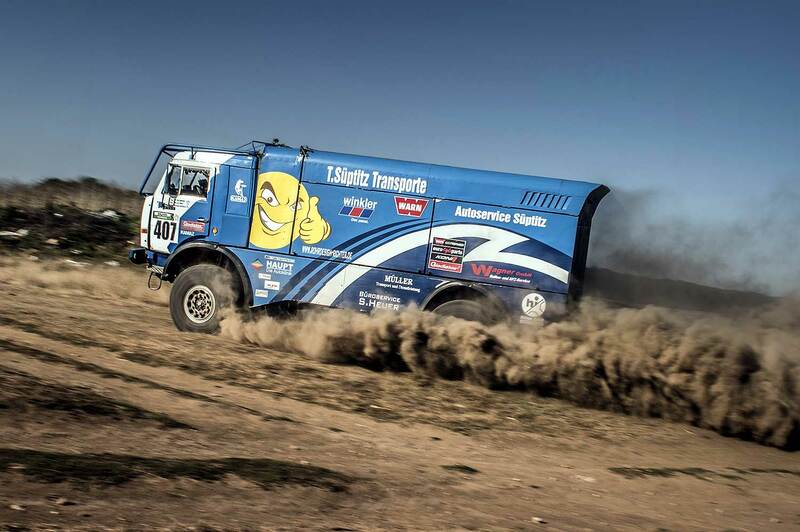 Our race-trucks more professional," said Koepke. "Today we are four members working permanentely on the truck, everyone is specialized in his special tasks." The idea for the prototype was grown over the years. "After we could win the rally the first time in 2017 we decided to let the dream become true. Because we collected the ideas over years, we could start to built the truck in October 2017. Until today we invested more than 1000 hours in this project," Koepke reported. The basis for the racetruck is a used Mercedes Unimog U1300L, which was totally renovated. 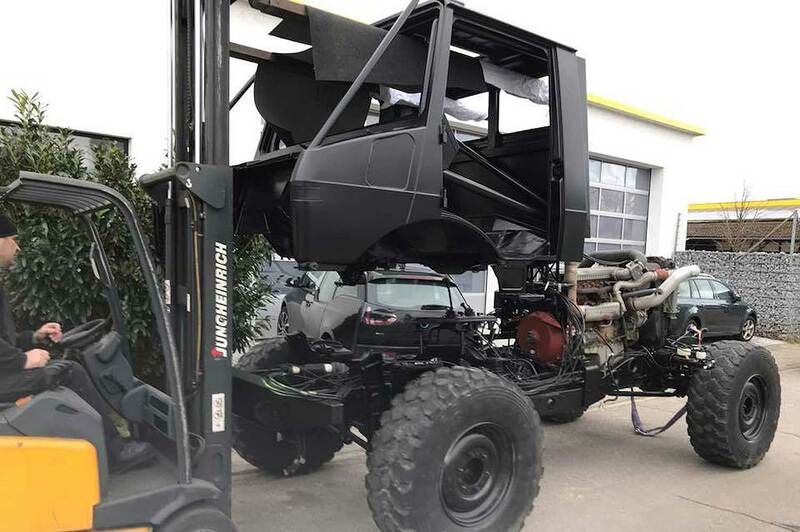 The chassis was shortened at the rear and front, the Unimog-cabine was enhanced to get space for three passengers and upgraded with a rollcage. To have a perfect weight-ratio, the engine was installed behind the cabin in the middle of the chassis. "Finally we had to develop a totally new suspension-system. We decided for a combination of linear, special-made coil springs with triple-bypass Profender shock absorbers, mounted on own developed shock towers. We just finally are discussing about the perfect tires," Koepke commented. Unimog-fans, who can´t wait until the Breslau Rally, will have their chance to see the racetruck in action ate the 25-years event of the "Mercedes Unimog Club Gaggenau" on June 15-17 - there will be also some more Rally-Unimogs. More informations, pictures and news can be found at the Facebook-Site of the team or their official website (see links below this article).